In a large mixing bowl, combine flour, baking powder, salt and sugar. Pour beer over all and mix with a wooden spoon. Batter will be very soft. Bake at 375 for 45 minutes or until deeply browned. Nice, just mixed it and no temp!!???!!?? I guessed and baked it at 375° for 45 min and it turned out great. Might not use such a dark beer next time, but everyone liked it- hot and cold! I am SO sorry to have skipped that important detail when I first wrote up the recipe. You guessed well, that was the correct temp and everything! 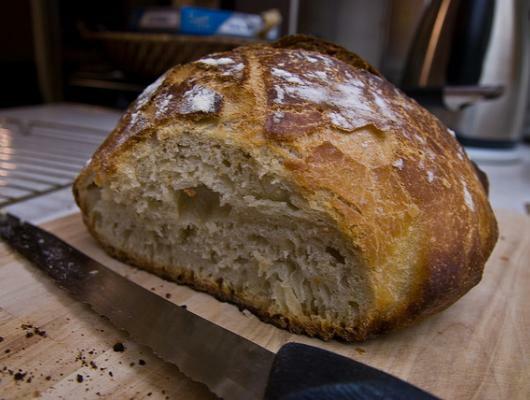 This simple, crusty bread is a winner! 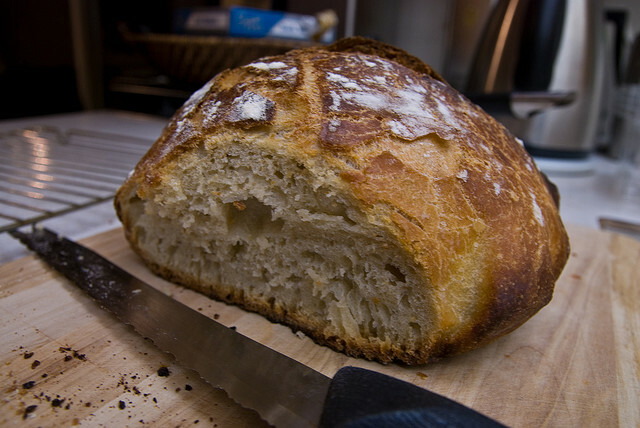 It is light and airy inside, and yet the crust is super crunchy. Perfect for soup night, or sliced for bruchetta. A fabulous recipe that deserves a place in your recipe box.